This All Weather Tuscany Storage Box by Hanamint is the perfect outdoor storage cabinet! 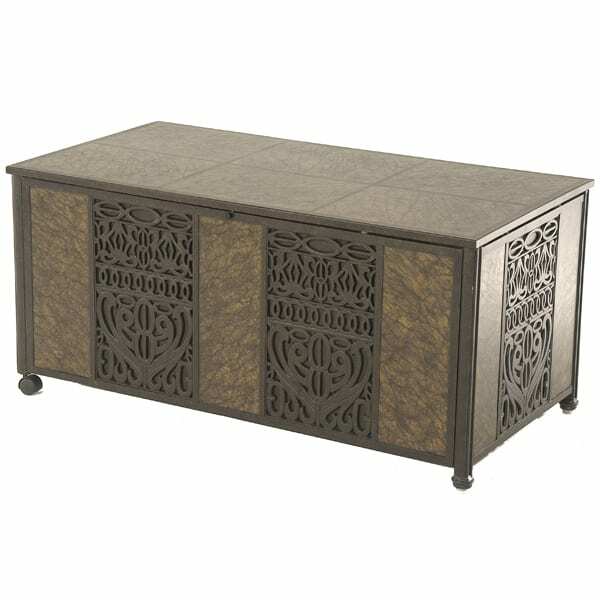 Hanamint's old-world production techniques create exceptionally strong and durable patio accessory and the elegant designs and intricate carvings on this outdoor storage box are reminiscent of a European antique. 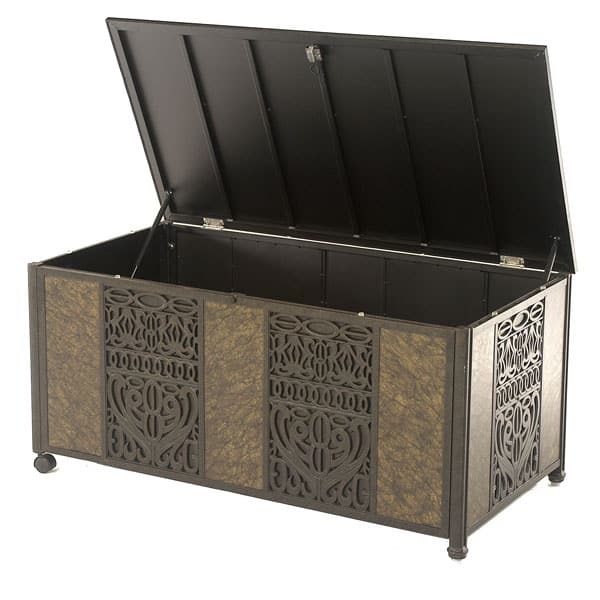 Add Hanamint's all weather Tuscany storage box to your deck, patio, sunroom or porch and just listen to the compliments! This decorative storage box features classic antique accenting, and will give any outdoor or indoor space a timeless touch. We guarantee this Hanamint outdoor storage cabinet comes to you at the lowest price, and you'll discover Hanamint's elegant products are perfect for both outdoor and indoor use! Searching for the perfect combination of style, quality and value? Then you must consider the all weather Tuscany storage box by Hanamint! Contact Family Leisure today!